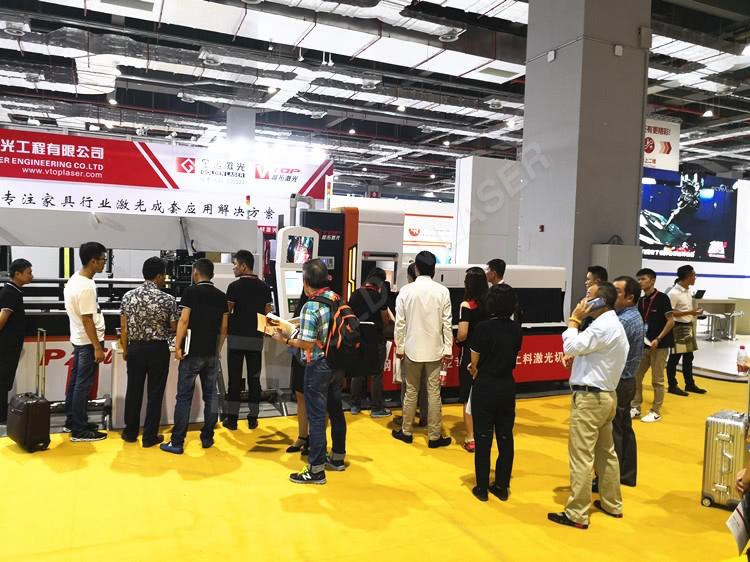 The Shanghai International Furniture Machinery & Woodworking Machinery Fair is perfectly ended in Hongqiao, Shanghai . 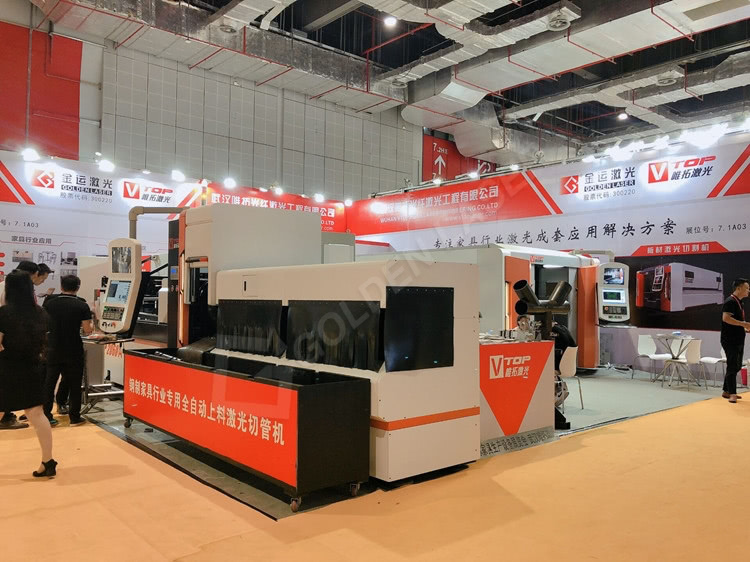 This fair mainly showcased advanced technologies and metal sheet & tube laser cutting equipments such as high precision and high speed sheet cutting, tubes automatic feed and cutting. 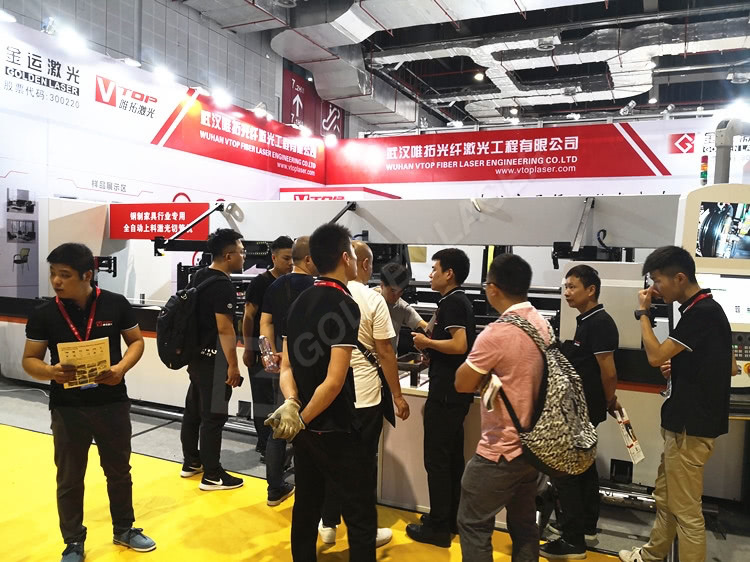 In this exhibition, as a leading laser provider of metal tube products processing solutions home and abroad, Golden Vtop Laser provides professional laser application solutions for metal furniture, fitness equipments, medical equipments, agricultural machinery, metal pipes and sheets processing, advertising craft, electric cabinets, fire pipeline, automotive industry, attracting many visitors to visit and communicate. And most of the visitors are engaged in the steel furniture field, let us take a look at the show on-site! 1. 1500 watts best cost performance, 50 micron fiber core diameter, for the perfect processing effect and efficiency of the pipe within 3 mm. 2. Digital design + laser flexible processing to achieve product individuality and diversity from design. 3. For the thin tube, the floating support developed by the thin-walled tube, the dynamic correction function, to achieve high-precision machining. 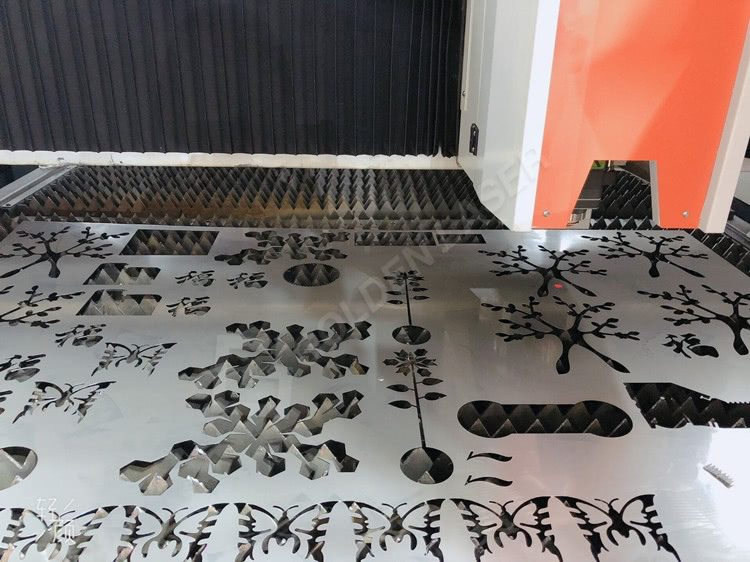 In recents years, steel furniture pipes laser cutting is instead of the traditional cutting because of laser cutting pipes’ wonderful peformance, and it is loved by many large and medium-sized manufactures. 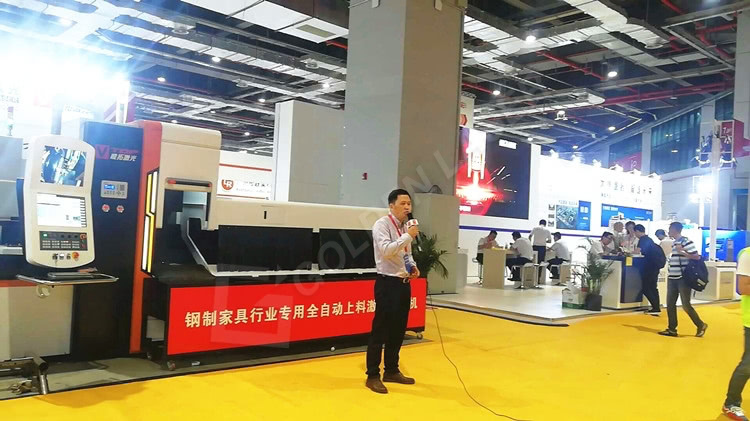 So far, many steel furniture manufactures have introduced Golden Vtop Laser professional pipe laser cutting machine, which already greatly inproved their pipes production efficiency. 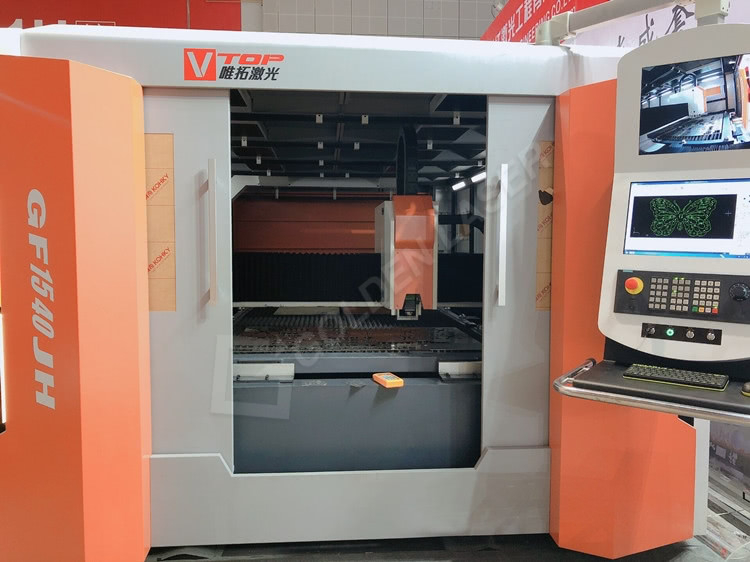 Golden Vtop Laser tube cutting machine was developed in 2012, in December 2013 the first set of YAG tube cutting machine was sold. In 2014, the tube cutting machine was entered into the fitness/gym equipment industry. 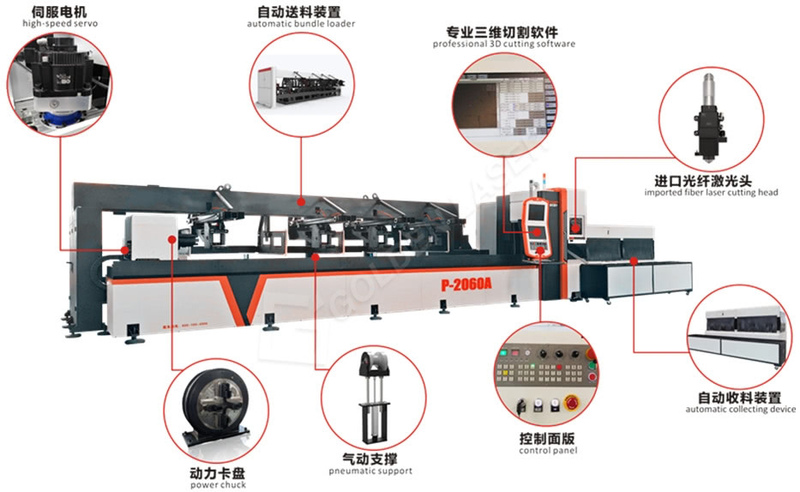 In 2015, many fiber laser tube cutting machines was produced and applied in various industries. And now we are always improving and upgrading the tube cutting machine performance. In the metal furniture industry,GF-1530JH machine is mainly applied to the metal door and window crafts etc.